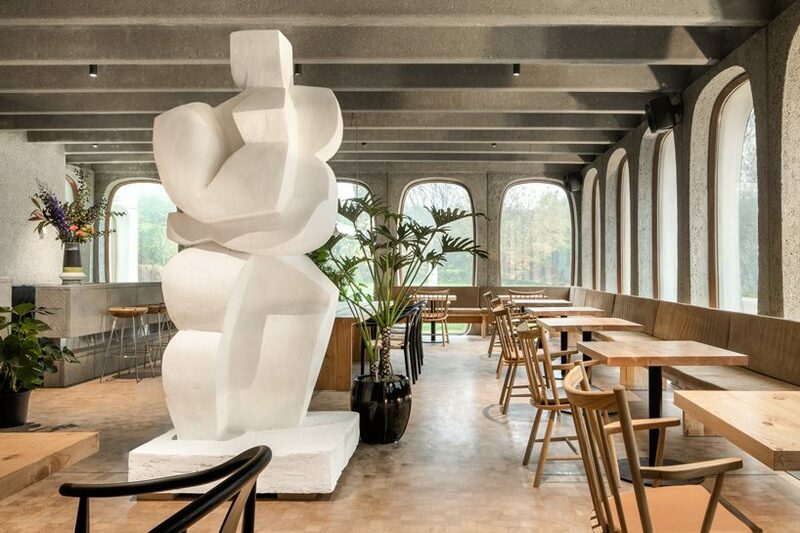 architecture in belgium surveys the contemporary condition of the country’s built environment, showcasing a range of innovative projects and the diverse materials and unconventional forms employed in their construction. 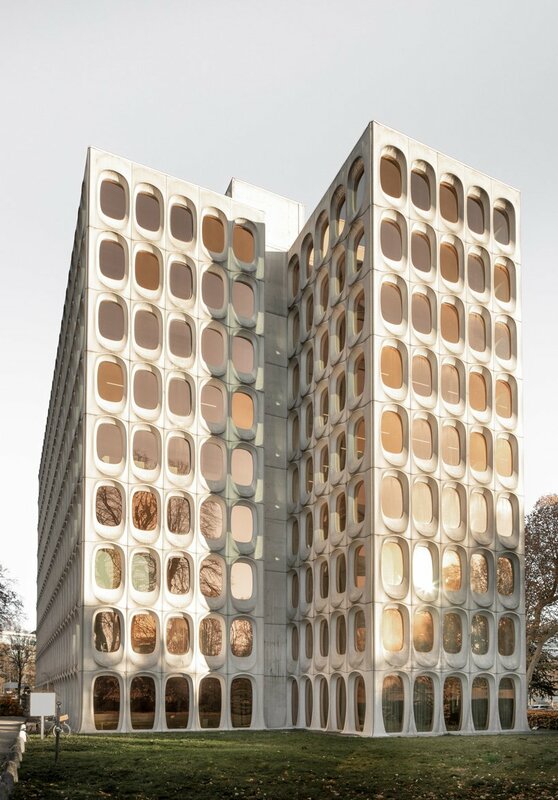 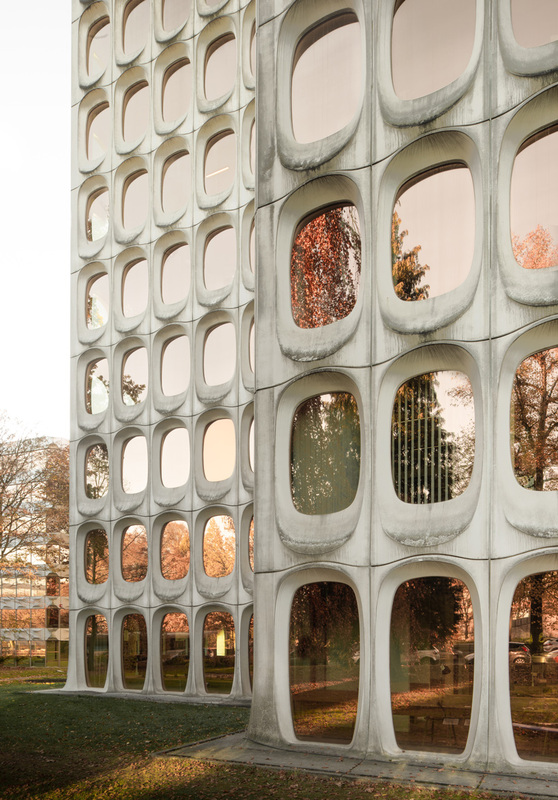 concrete architecture and design includes buildings and products that utilize the qualities of the material - from brutalist icons to projects that employ the latest 3D printing technology. 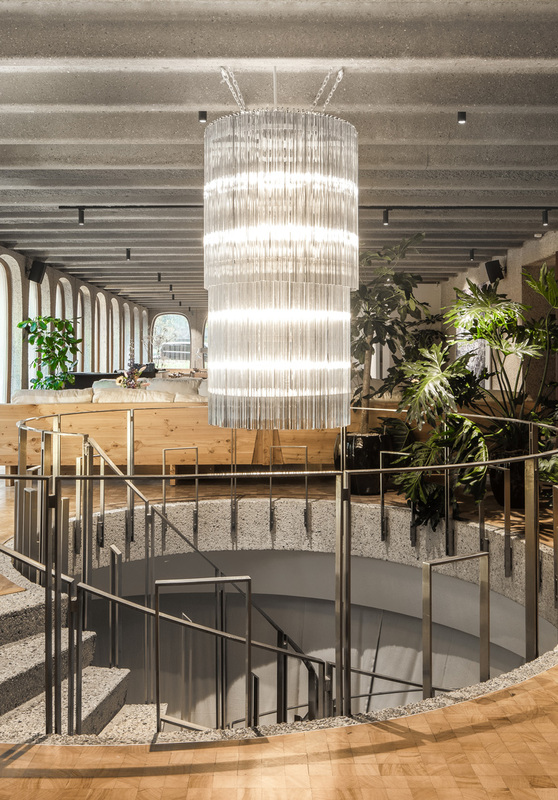 following the opening of its antwerp location, belgian co-working office fosbury & sons has now turned its attention to brussels with boitsfort, its second outpost occupying 7000 sqm of the former headquarters of cement company CBR. 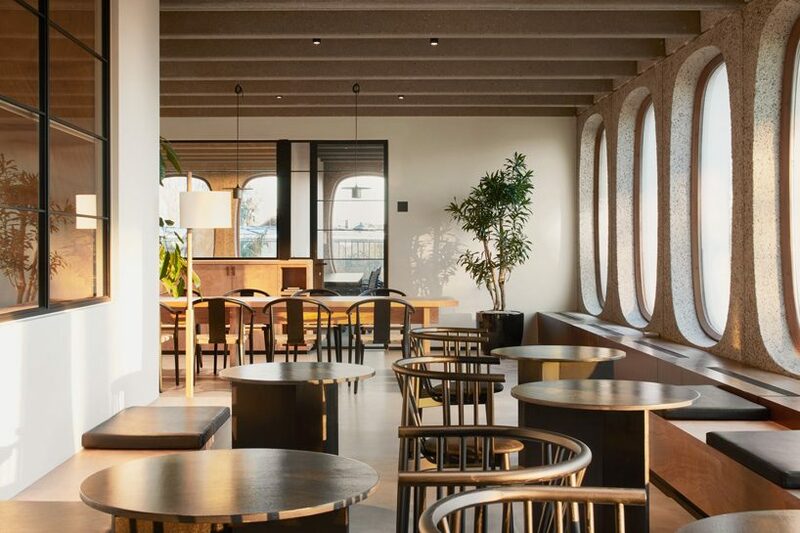 together with design agency going east, they have transformed the interiors of the modernist masterpiece by post-war architect constantin brodzki into luxurious and warm facilities that provide members with private offices, shared workspaces, common areas, and a bar & restaurant that overlooks the sonian forest from the 8th floor. 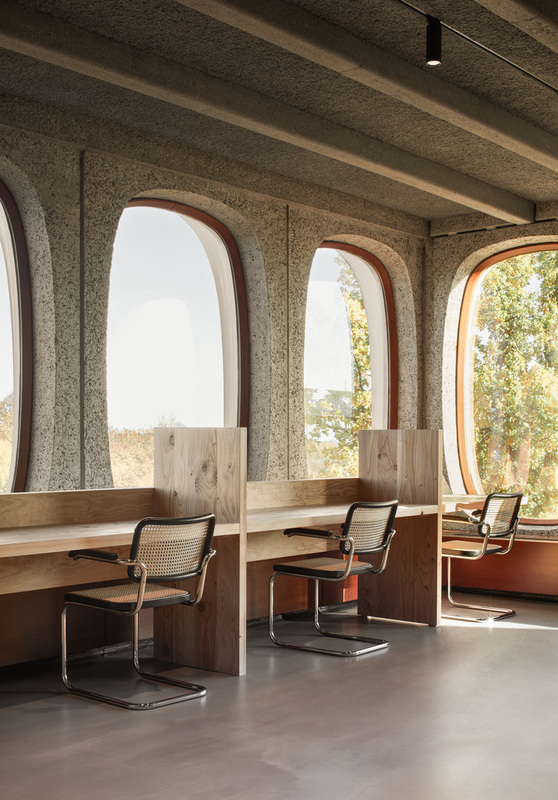 clad in an eye-catching façade of 756 prefab convex oval concrete modules, the monolithic building by belgian architect constantin brodzki has been renovated with respect to its original structure and identity. 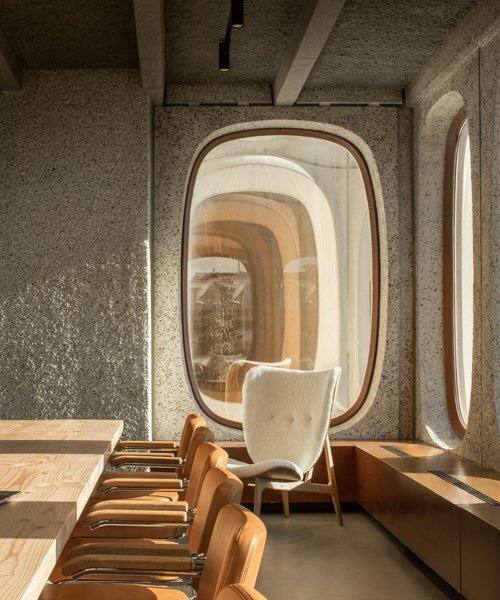 ‘the character of the building, its history, its exceptional architecture, the spirit of the age in which it was built…it just fit – it has an extraordinary architecture and it’s also super functional,’ notes stijn geeraets, who co-founded fosbury & sons together with maarten van gool and serge hannecart. 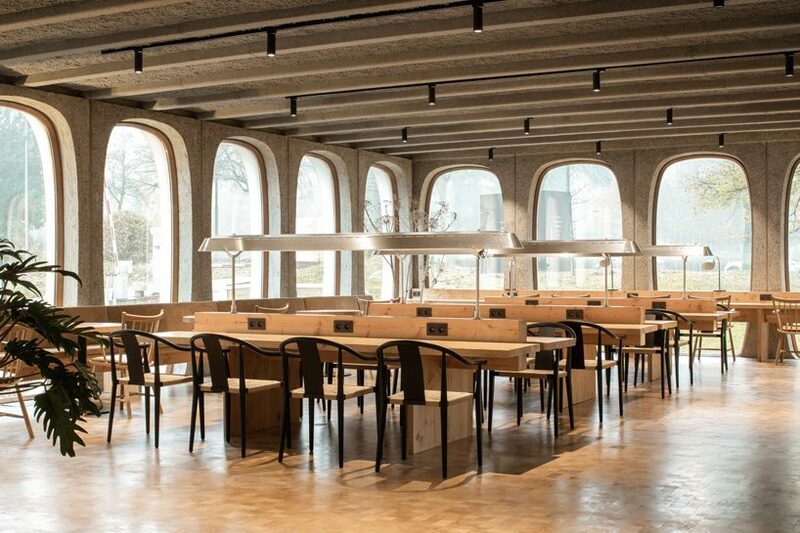 boitsfort spreads over seven of the building’s nine levels, with three extra floors below ground for parking, and offers a capacity of 600 people and 250 different companies. 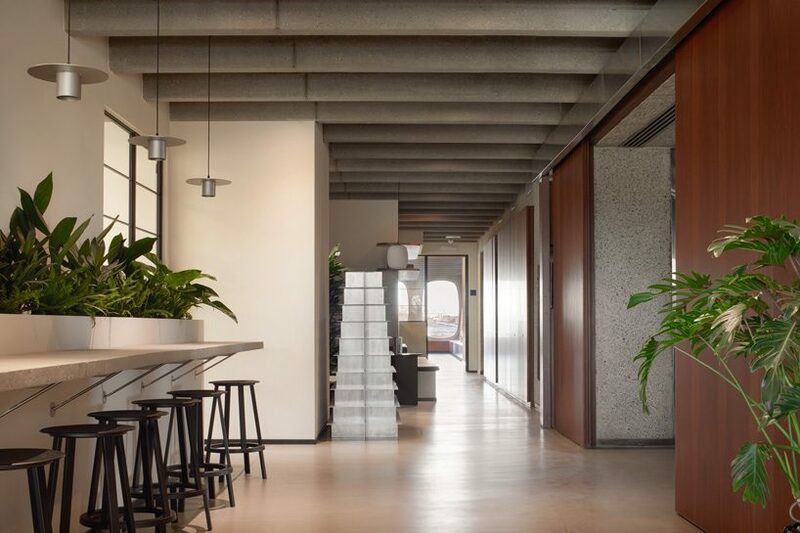 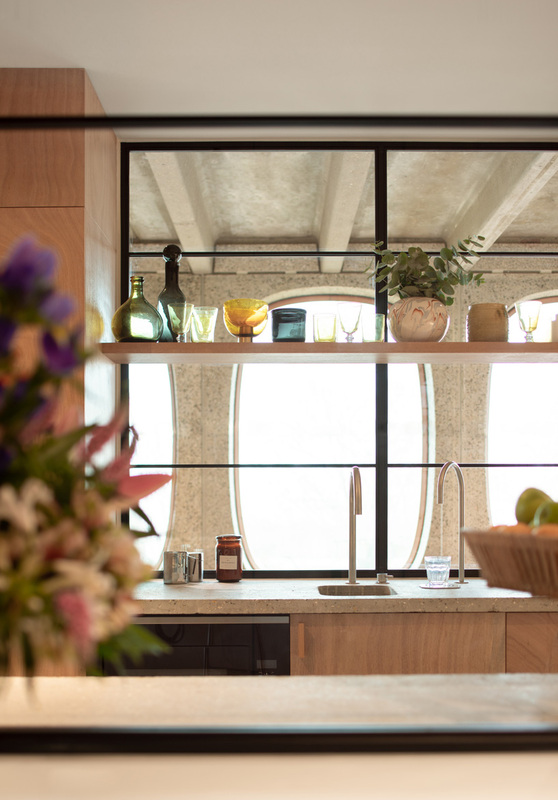 in addition to the ‘suites’ (private office spaces) and ‘ateliers’ (shared private office spaces), there are numerous other shared workspaces throughout the building, as well as a restaurant by coffeelabs and the giorgio bar on the 8th floor. 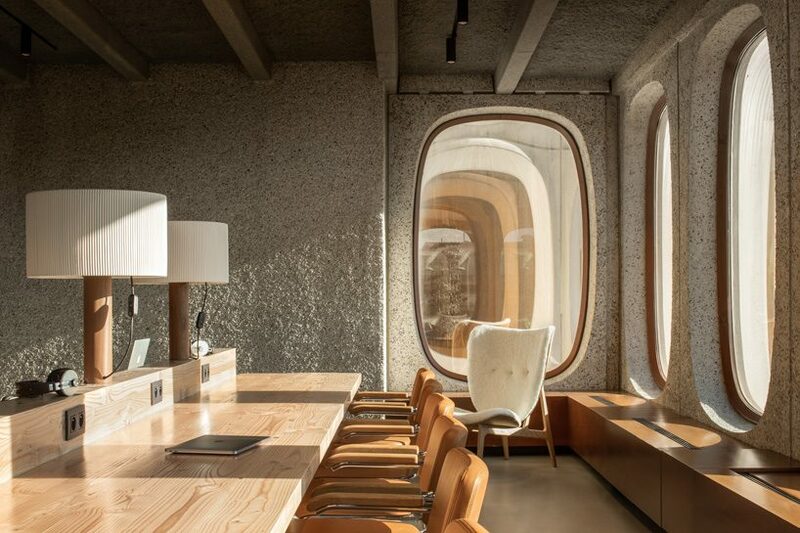 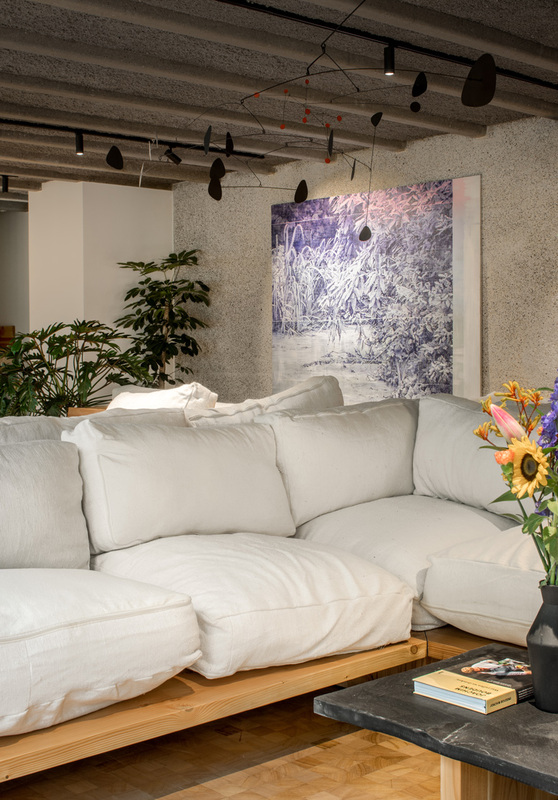 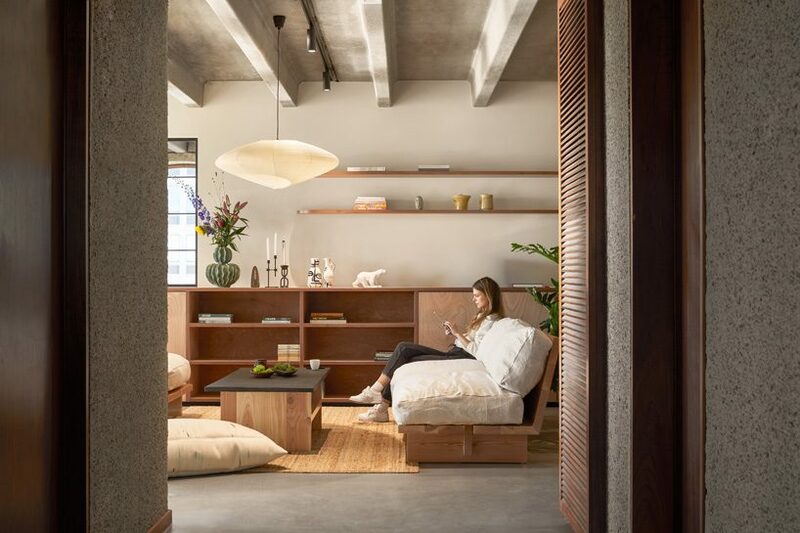 responsible for the new interiors, design agency going east, founded by interior architects anaïs torfs and michiel mertens, has delivered luxurious yet understated spaces that coexist harmoniously with the original architecture. 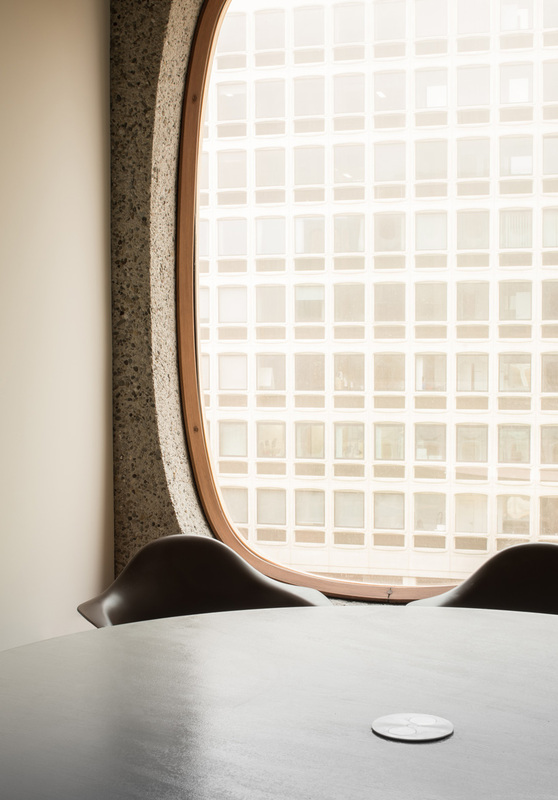 similar to the antwerp office, a lot of space at the boitsfort is made available for art, in collaboration with brussels art galleries rodolphe janssen and veerle verbakel gallery, artists perry roberts and florian tomballe and the private art support foundation or simply pasfoundation. 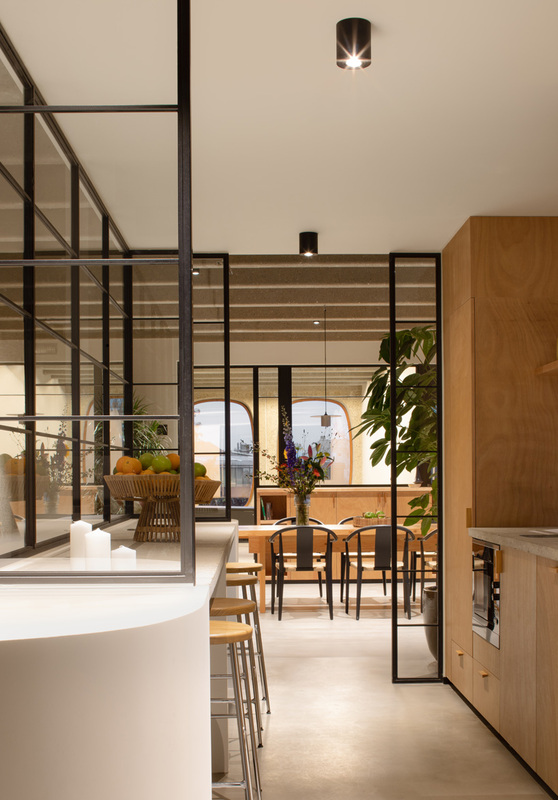 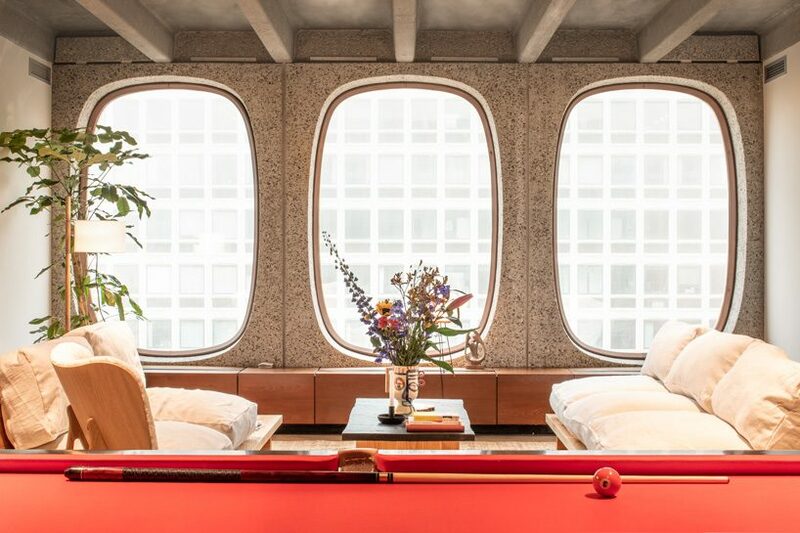 on top of the new location, fosbury & sons is also launching a brand new mobile application with which members can connect with each other and indicate who they would like to have a coffee or lunch, or even play a game of pool with.